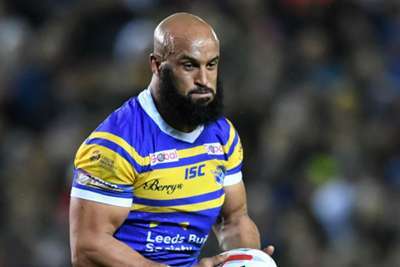 Jamie Jones-Buchanan, Carl Ablett and Luke Briscoe have signed new contracts with Leeds Rhinos. Jones-Buchanan made his debut for the Rhinos back in 1999 and is set to feature for the Super League club 20 years later after the 37-year-old agreed a deal for the 2019 season. Seven-time Grand Final winner Ablett is another stalwart who will feature in the start of a new era under head coach David Furner. The 32-year-old was also out of contract at the end of last season, but has put pen to paper on a two-year deal at Headingley. Briscoe has signed on for the next three years, having been given a short-term deal last season after returning from a loan spell at Featherstone Rovers. Rhinos director of rugby Kevin Sinfield said: "We are pleased to be able to offer all three players new contracts. Jamie and Carl are outstanding clubmen who epitomise the culture and ethos we cherish here at Leeds. "There has never been any question over Luke's ability however his early career was frustrated by injuries. He is a great example to any young player who suffers a setback. "He has continued to work hard, listen to his coaches and give his very best every time he steps onto the field and deserves this contract with the Rhinos."